On 5th November the Ukrainian Parliament was only able to adopt two of 13 laws demanded by the EU in order to start the visa-liberalization process, rejecting among others the amendments on key-norms of anti-discrimination and anti-corruption measures. A crucial amendment to the draft of the Labor Code of Ukraine that would have provided protection against discrimination of sexual and gender minorities (LGBTI) and other vulnerable groups (for a full list see below*) did not pass the vote. It would have been the first law to explicitly mention protection of LGBTI in Ukraine, and was one of the preconditions within the Action Plan on Visa Liberalization between Ukraine and the EU. – The preconditions for European integration, and being party to the international regime of human rights is not a set of requirements where one can pick the points one likes and leave out others, says Mina Skouen, Advisor for LGBTI issues in The Norwegian Helsinki Committee. -Quite the contrary. Being brave enough to address the most controversial issues, among them the rights of LGBTI persons and corruption, is the real test of the authorities’ commitment to democratic development and fundamental human rights, she continues. – The amendment to the Labor code would have been a step in the right direction, but providing protection in one sector only is not nearly sufficient, says Skouen. –Provision of a comprehensive anti-discrimination legislation, and to ensure that crimes based on homophobia and transphobia are considered as hate crimes, should be considered as hate crimes should be a minimum of what we should be able to expect from Ukrainian authorities at this point. 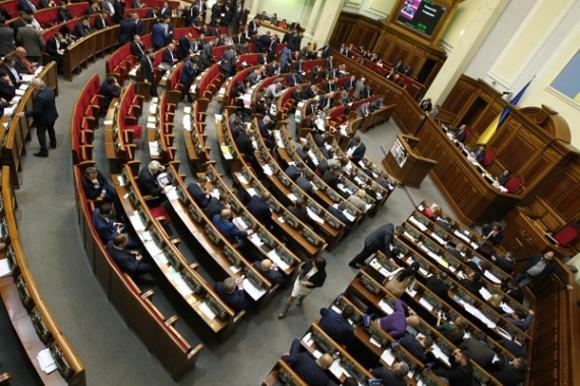 The Parliament did also not succeed in voting the law 3040 which envisage creation of a national agency to search, identify and administer active assets and holdings generated in Ukraine by corruption and other crimes. The amendment to the Labor Code, Law 3040 as well as other important amendments now awaits a second vote. The LGBTI organizations and other human rights actors in Ukraine are also disappointed with the result: -This shameful decision of the Ukrainian Parliament clearly illustrates that most of Ukrainian politicians still share the so-called «traditional values», meaning the totalitarian traditions of the Soviet age and modern Russia. It appears that they did not learn lessons of the Maidan, says Andriy Maymulakhin from the organization Nash Mir. Also Head of the NGO Insight, Olena Shevchenko, is concerned about what this decision reveals about the attitudes within the Parliament. – During the discussion they said that the amendment ‘would grant a special category of rights for sexual minorities’ and that ‘we don’t have any discrimination based on sexual orientation in Ukraine’. It showed us their total illiteracy in human rights and unwillingness to have a dialog on those issues, says Shevchenko. It is positive that President Jean-Claude Juncker of the EU Commission, in a letter to President Poroshenko 5 November, emphasized that such an amendment as well as other key-anti-corruption reforms remain a precondition for VISA liberalization. We are also confident that other international actors, such as the Norwegian government, will express their concern about the Labor code with their Ukrainian counterparts. Norway has already taken a fierce stand on Ukraine’s obligation to protect all its citizens in accordance with international human rights obligations.